That we Indians have no qualms about compromising ethical standards is nothing new. Possibly, never have we displayed our deteriorated moral standards as a society like we are shamelessly doing now. As a society, we don’t care for rule of law and honesty. Even generally law abiding person skips his values the moment police stops his/her vehicle. This does not mean, we are bad, ab initio. 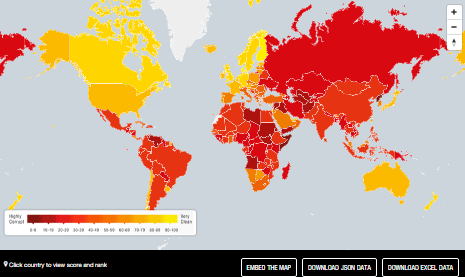 A cursory look at the corruption perception index map of the world is revealing. Every country that is portrayed as corrupt is economically weak. Every country in yellow has at least five times the per capita of India. So, it is reasonable to assume, there is direct correlation between affluence and corruption at all levels. Corruption and cash are not problems unique for we Indians. However, it has gone beyond all reasonable levels in the past decade. Total value of currency in circulation in 2005 was Rs.3.61 lakh crores. In 2012 it was Rs.10.26 lakh crores, in 2015 it was Rs.13.86 lakh crores and in 2016 it was Rs.15.94 lakh crores. All data are based on RBI report as at March of corresponding year. In 2015-16 alone over Rs. 2.08 lakh crores were introduced in circulation. Nobody could explain this expansion. Raghuram Rajan opined that this could be due to (2013-15) Election season in centre and various states. Election Season! How on earth the politicians are going to take demonetisation lying down? It is as though, considering the magnitude, the political opposition is largely muted and are using restraint. What it perhaps means is percentage of bribe has gone up in the last decade and cash economy (as in outside the purview of taxation) is growing much faster than GDP. Bribery is not our concern in this post while cash economy is our interest. This post is predominantly MSME centric hence we are avoiding all cross references to bribery. Cash based economy in itself, is not bad. Japan has about 18% of its GDP in circulating cash. What is bad is the cash generated by evading tax. SME has been doing it for ages with impunity. Moral or ethical questions have never come in the way. We wouldn’t fully blame SME entrepreneur for it. It is a direct byproduct of Democratic Socialism. We believe, the reason is excessive taxation by Democratic-Socialistic regime. In 1970 maximum marginal tax was 82.5% On the balance if dividend was declared that was also taxed. Inheritance tax (Estate Duty) was so high that one had to sell properties to pay it and then pay some more as Capital Gains tax. So, people started hoarding cash and found some justification too. It is something society found it profitable to perpetuate even though our direct taxes are among the lowest in the world today. Plain human greed. This found further justification since out tax administration has always been quite intimidating. Hence cash based economy has become an inseparable part of MSME existence. This is further complicated by organised and unorganised funding. 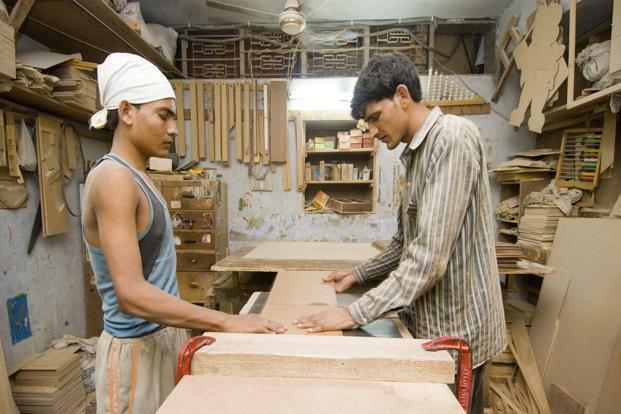 Priority sector lending is both boon and bane for MSME. Many success stories were made possible by priority sector lending. However, we dare say, it is the single most important reason for MSME sickness and NPA. MSME is born since the entrepreneur actually knows to do something. One partner knows to deliver a product or service and his partner knows to sell it and they start manufacturing or provide service. First casualty is capital adequacy and financial prudence. Banker wants margins, so they over invoice machinery and show the difference as margin. This doesn’t hurt MSME as much as cash credit (working capital loan). Cash credit may well be the single important reason for MSME sickness. Business is allowed to draw to the extent of 75% of Current Assets less current liabilities. In other words, cash credit plus current liabilities cannot exceed 75% of Current Assets. Limit is fixed as an absolute number while drawing on a month to month basis is determined by this formula. There are a few unforeseen expenses which may need urgent access to funds. Let’s say a machinery broke down. There is urgent need for replacement. Or a land has come up cheap for expansion. The entrepreneur tends to use funds from Cash Credit with devastating effect. Once the money is used for unauthorised purpose, in order to draw adequately, the tendency is to increase the value of receivables or stocks so that there is sufficient drawing power with the bank. This inflates profit and sales which in turn, requires more tax to be paid while there is scope for more loans. This vicious circle leads to a balance sheet with fictitious assets on the one side while it has real liabilities on the other side. If not diffused in time, MSME is subjected to perennial tension and the chord snaps at some point. This problem aside, availability of adequate and timely finance for MSME is non-existent. There is always a gap between the requirement and organised funding. Entrepreneur is forced to borrow from unorganised lenders who lend money in cash and the MSME conducts business outside the books. Thus inadequacy of organised finance, obtaining unorganised finance and Indian psyche of evading tax for concentration of wealth has resulted in good chunk of MSME trade being conducted in cash and outside books. Most of the MSMEs keep their unaccounted wealth in Stocks, Receivables and Cash. This is pure working capital and not stash. Dealing this with overnight morality lessons will not do. So is paying 50% tax with 25% lock in. MSME will suffocate to death. Despite its problems, disregard to compliance and cash, MSME’s contribution to Indian economy can hardly be over emphasised. MSME’s performance has been phenomenal. There are over 3.69 crore units out of which 2 crore units are in rural area. (2006-07 census) At peak, it used to be around 45% of GDP and it hovers around 37% Considering a GDP of $2.25 MSME Share is going to be around Rs.50 lakh crores. Estimated total employment (projected based on 2006-07 census) is around 12 Crores (approximately 10 times the jobs generated over last 10 years). Thanks to NPA problem of banks, outstanding Bank lending is Rs.929 lakh crores (2016) at a de-growth of 2.8% while the sector is growing around 12% . This left a gaping hole filled by unorganised money lenders. This is the single most dangerous problem of demonetisation. It has deprived a vibrant cash laden economic sector and is starving for cash now – legal or otherwise. Nor do they have any clarity on the schemes announced by the Government. If they declare their working capital and pay 50% in tax and lock in another 25% for four years, they will be hurt badly. If they convert their old cash to new cash, they will still lose 30-40% by way of commission and continue the way they were working. Regular cash for running is also not available from the banking sector even if they had money or credit limits. Heads, the Government collects taxes. Tails, unscrupulous operator makes money. Either way, MSME loses. This is a huge, very huge, problem. Lakhs of jobs will be lost and NPA will further rise. Loan sharks are also in disarray due to demonetisation. Even high cost funding is not available to MSME. It is more than three weeks after the demonetisation announcement. Political discourse has not moved beyond queues and lack of change for Rs.2000 bills. Government has not moved an inch beyond trying to fight black money by plugging holes. Not a single announcement has been made to address this most serious and adverse fall out of demonetisation. It is quite disheartening. Government should consider a few positive measures. Tax paid on declaration of black money, should be provided as loan in soft terms. MSME should be encouraged to comply without fear. Even if 25% of such loans turn bad, Government would have collected the taxes and brought this money to books. Cash should reach MSMEs in rural area adequately. Now that unorganised funding is also absent, banks should be liberal in funding MSMEs. NPA shy commercial banks are unlikely to do this. Government should aggressively refinance lending by banks and NBFCs. 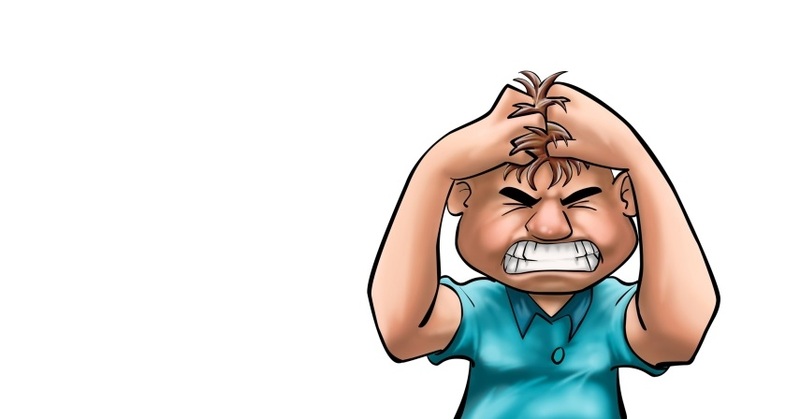 Refinance, Credit Guarantee, Exemption from CRR/SLR … whatever is required needs to be done. Separate nodal agency for refinancing Micro Finance companies will go a long way. Unorganised MSME will be worst affected without adequatre cash supply. Additional security can be by way of lien on shares and personal guarantee wherever there is shortfall. Cash credit should be made flexible. If changed scenario so warrants, SME should be allowed to convert part of their Cash credit as Term loan and a portion of non-fund based limits can be converted as fund based limits. Onetime write-off of Stocks and Debtors (to the extent padded and unreal) and carry forward of losses should be allowed without questions or scrutiny which can be set off with future profits. Creating availability currency for this sector of economy on a war footing. Solutions should be thought of, beyond regular banking channels. All the above are easier said than done. Herein lies the success or failure of demonetisation and our capacity to generate jobs. Good article. Well analysed. Are we not jumping the gun here. There will be policy measures. Certain things are bound get hit. Let us have patience. It is very big decision. Need to give time to our supreme leader. Point is what to do with the cash they have. Time is running out and 30th Dec is approaching. Actually there is delay. Reaching cash may wait, not decision on existing cash. While the article reveals the true picture of msme it ignored the main reason for this type of inflated balance sheet. It is sheer personal greed. People after starting a profiteering msme tend to invest more in the field of realty or other businesses leaving the main business to suffer. This is the main reason. However some msme suffer due to market scenario and this is where the organised lending institutions fail to support msme when needed resulting in loan sharks seizing the opportunity. The Finance Minister in West Bengal govt, has raised some serious questions . Will you address that too and have this article published in a leading news paper for the benefit of Common man. Good article Srikanth, gives me a better understanding of the issues faced by SMEs post demonetization. 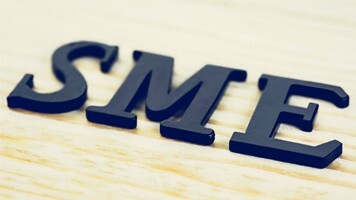 It is worrying how the SMEs lifeline will be ensured after 31 Dec? The New Year Wish comes with a worrying itchy feeling “Is everything alright and life really sustainable?” Is the country geared to go cashless or is the GDP going to take a big hit and lead to a major devaluation of the rupee and imported inflation? Future may be good after a dip, but how deep is the dip and how are we going to swim ashore?